Royal Caribbean International is one of the largest cruise lines in the world appealing to a wide range of guests, including couples, singles, and families. The ships and their large size give passengers a number of on board activity and entertainment choices. Some of the newer ships feature a rock-climbing wall, ice skating rink, in-line skating track, and a mini golf course. 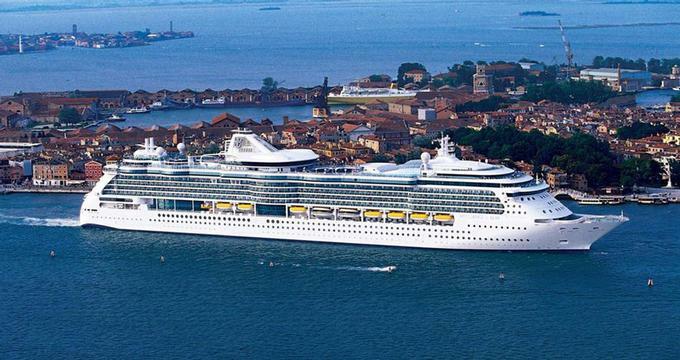 Royal Caribbean's Oasis of the Seas and its sister ship Allure of the Seas are some of the largest cruise ships in the world with a guest capacity of 6,200. Oasis measures 220,000 gross registered tons and spans 16 decks. The ships is began sailing in December 2009 and Allure in 2010. Some of the never-before-seen amenities aboard Oasis are a zip-line and a carousel. It has a park, complete with flower gardens and pathways for romantic walks. There is a full size pool in the back of the ship which hosts shows such as synchronized swimming events. During the day, scuba lessons are offered. Two of the ship's four pools have a sloped entry that will make you feel like you are going for a swim at the beach. The cruise company offers numerous voyages, including short 3-night and 4-night getaways to the Caribbean and the Bahamas, and longer voyages to Alaska, Hawaii, Europe and other destinations around the world. Adventure of the Seas sails the Southern Caribbean; Brilliance of the Seas sails to the Caribbean, Europe and Panama Canal; Majesty sails to the Bahamas; Monarch sails the Western Caribbean, Mexico and Panama Canal; Voyager sails the Western Caribbean year round. The company's newest ship, Navigator of the Seas, has a 22,000 square foot area dedicated to youth activities, and numerous specialty restaurants. All ships have physically challenged facilities available onboard. The program for kids ages 3 to 17 is called the Adventure Ocean program. Children can participate in a number of excitingactivities based on their age group. The Adventure Science program, for example, introduces hands-on science projects. Other activities kids can enjoy include karaoke, sports, painting, talent shows, a computer lab, and video arcades. If you have a hard time getting your kids up to go out for breakfast, don't despair. The promise of DreamWorks characters in the dining room will excite them for sure. Kids can meet their favorite characters for breakfast in the main dining room and take photos with them throughout the day. Royal Caribbean Internationaland DreamWorks Animation have extended their alliance which brings Shrek characters to sea for family travelers. The DreamWorks Experience has been introduced on six of the company's ships so far. Mariner, Oasis, Freedom, Liberty and Voyager of the Seas all feature award-winning characters. This is the only cruise line where you can see Shrek and Fiona and guests love it. The ships host parades, themed activities and events based on popular characters.